When was the last time you got a letter in the mail? A real, hand-written letter, in an envelope that someone licked to seal and stuck a stamp on? Other than occasional party invitations and thank-you notes, I rarely get real letters. Except for in summer, when my boys go to camp and we all learn the art of waiting. 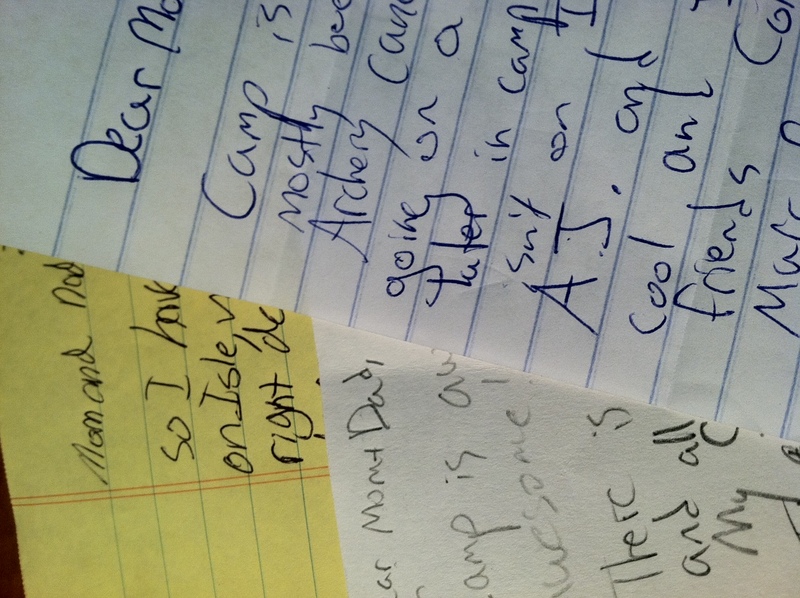 The first time each of my boys went to camp, the wait for that first letter was excruciating. I longed to know how they were settling in, whether they had a top or a bottom bunk, if they had passed the swim test, what they thought of their cabin-mates and counselors. I still love getting their letters, but I’ve learned to savor the delay. When the letters come, I want to devour them, and I want to read them slowly, to make them last. I like writing back and knowing that they will read my letters the same way.